So after taking “Phoenix SEO” out of the site title completely and our H1 tag we moved down to the 8th position on the first page of Google. 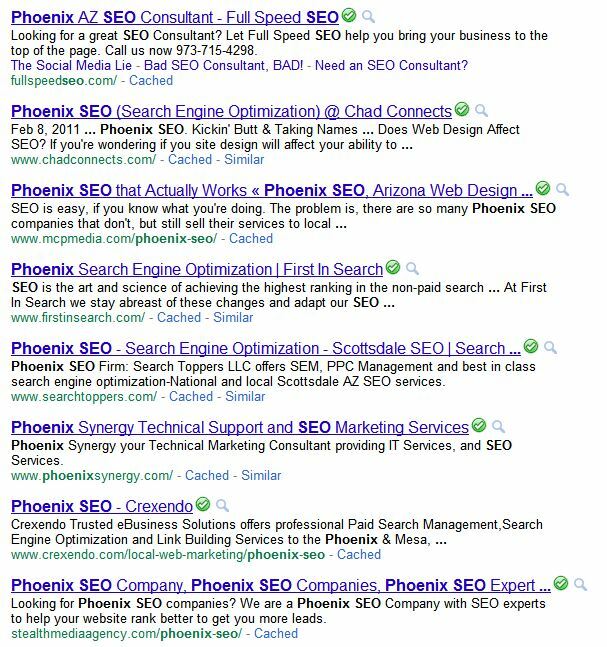 Google also changed our position link from our home page to a dedicated page within our site for Phoenix SEO. We have added “Phoenix SEO” as the second keyword phrase after Local Internet Marketing in our site title so let’s see what happens with this one change. We will leave our H1 the same at this time. This is part 3 update for our “Phoenix SEO” case study you can read our last case study update to get up to speed.